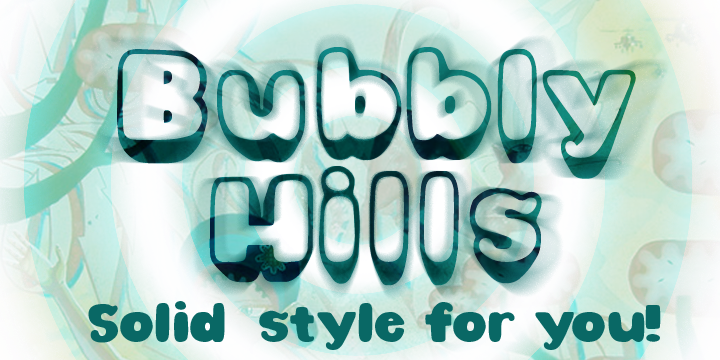 Bubbly Hills is the classic style bubble letter font! Combine the 3-D & flat letter styles, or use these styles separately..... many different looks can be created! There is a sprinkling of dingbats scattered around the alternates, just there to make this font extra fun and useful . Bubbly Hills is extended, containing West European diacritics & ligatures, making it suitable for multilingual environments & publications.